An ultrasound is a safe, effective, painless imaging study that does not require anesthesia. Ultrasound images are obtained by using sound waves of the organs and other structures in the body. The most common areas that ultrasound is used for are the chest and the abdomen, but it can also help us to better examine the eyes, muscles, tendons, ligaments, and joints. Have an ultrasound appointment? Here’s what you can expect. There are no special instructions for preparing your pet for this study, unless we will be performing an abdominal ultrasound. In this instance, we ask that you fast him or her for eight to twelve hours prior to the procedure, this is because food and gas can make imaging organs in this region difficult. Water is permitted. If your pet is having urination problems, please make sure that he or she has a full bladder at the time of the examination. During the ultrasound, your pet will be placed in a comfortable padded holder by our technicians, who are also there to give them extra TLC if they get nervous. A simple scratch on the head and positive affirmations go a long way with the vast majority of our patients! If your pet is extremely fractious, a sedative might be administered, with approval by you and/or your regular veterinarian. Please know that we will need to shave the region of your pet that we are studying. Most ultrasound appointments take approximately 45 minutes to one hour. For our human guests, we have a spacious lobby that is always stocked with complimentary snacks and drinks. There is also free WiFi and television to keep you busy. At the completion of the ultrasound, a full report, analysis of findings, and appropriate recommendations will be provided to your veterinarian. Upon request, you can also receive a CD of your pet’s ultrasound images. We are only able to discuss the findings with you once we have first spoken with your regular veterinarian. Need an appointment but have a hectic schedule? Live and/or work far from our clinic? Don’t worry, we’ve got you covered. For your convenience, you can drop your pet off at your regular veterinarian’s hospital and we will arrange to have your pet transported to and from our facility via our Pet Taxi service. Our Pet Taxi drivers are skilled in animal handling, and we carry insurance covering up to $50,000 in veterinary expenses per animal, although we don’t anticipate any problems during transport. If you prefer, we also offer a Mobile Ultrasound service, where one of our radiologists or sonographer will come to your regular veterinarian’s hospital to perform the ultrasound. 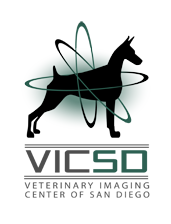 **Veterinarians trust us as an authority on ultrasound and other radiology procedures. If your vet recommends an ultrasound or other imaging modality, be sure to ask them about a referral to our facility.